I cannot tell you how long it has been since I have sewn anything with a woven fabric. I got on the knits-train many years ago so I just always find knit fabrics so quick and easy that I can whip out a pair of shorts, jammies, dresses, and tops for my two children with minimal time and effort resulting in many smiling faces. 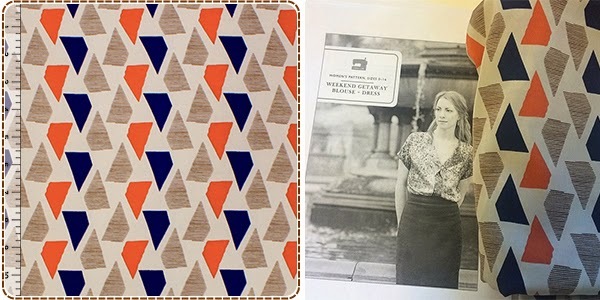 In seeing all of our lovely new specialty woven fabrics and sewing patterns, I decided to take the time to reacquaint myself and I am so excited I did! 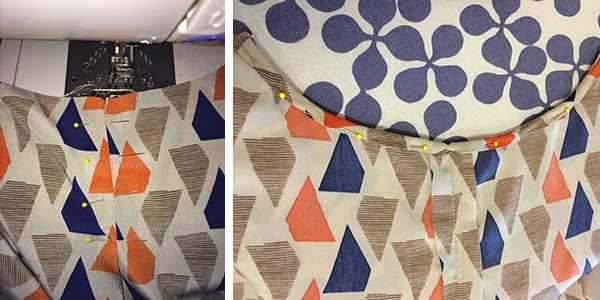 I have put together the following visual tutorial of my experience in sewing up the Liesl + Co Weekend Getaway Top and I hope you have as much fun as I did sewing up this lovely pattern! When cutting out the pattern to piece together I found this all-in-one pattern layout really helpful as a guide as there were different numbered pieces on the same pieces of paper. 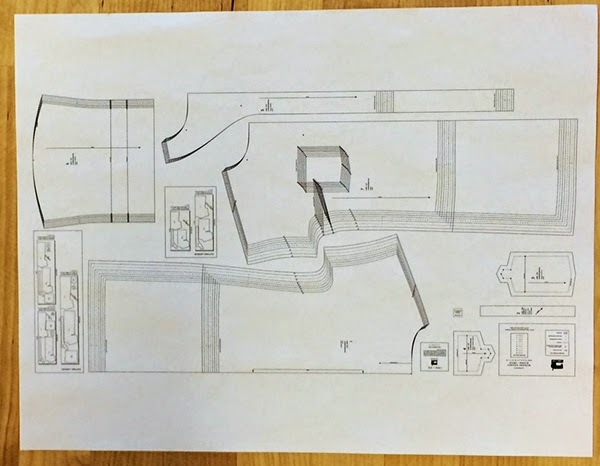 This smart layout method I found saves printer paper so two thumbs up for that! 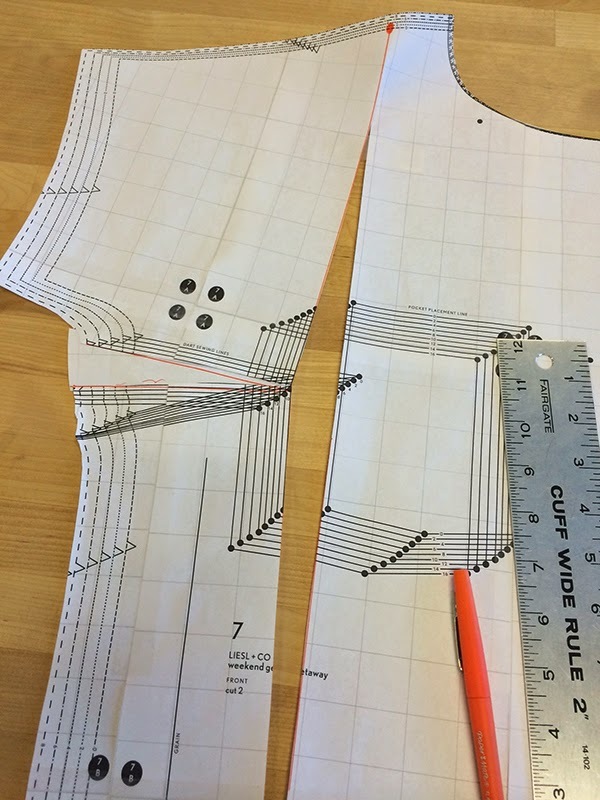 After making the bust adjustments follow the pattern and cutting layout guide on page 2 and cut out your pattern pieces, making sure to transfer all markings as directed. Once your pieces are cut out it is on to sewing!! First sew the center back pleat and neck facing as directed. 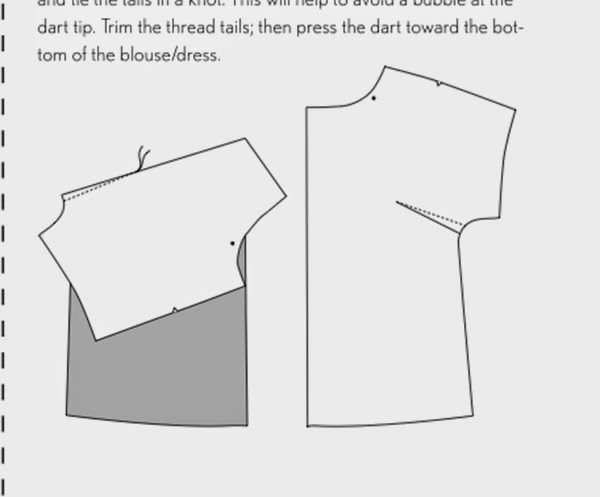 Next step is to sew your darts as indicated on page 5-6 and the pockets if desired. 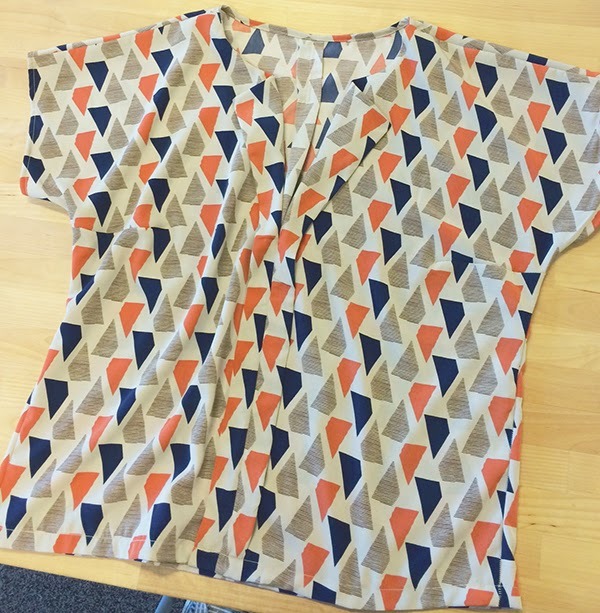 Due to the print of this fabric I did not want to add the pockets, but it looks pretty straight forward if you do. Easy to follow illustration for darting method! The next step is to prepare the front facing pieces. 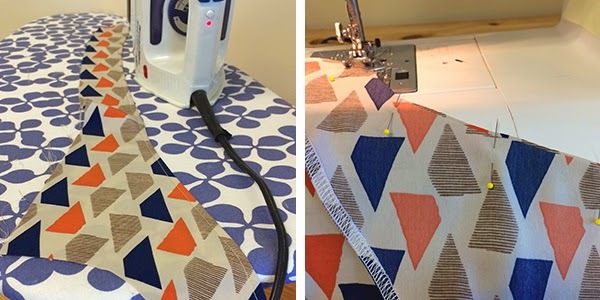 This is where I did use my serger, only because I have it set up and I like to take short cuts whenever possible, but you can definitely use a regular sewing machine with a zig zag stitch. Press under edge and finish with top stitch as directed. Lay prepared facing pieces right sides together with front pieces of blouse as shown (page 7), pin and sew. 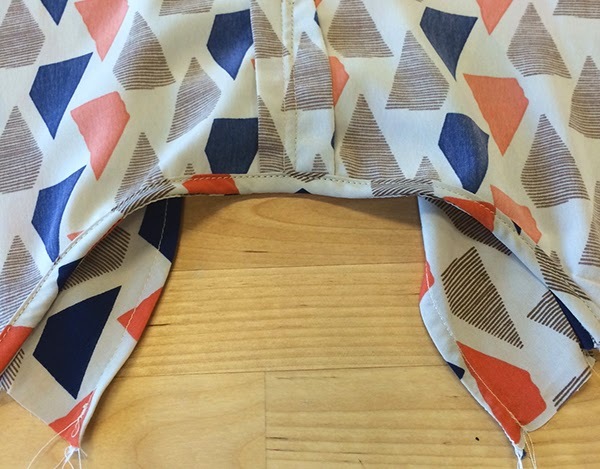 Follow step 3 on page 7 to flip the facing to the inside and stitch to ensure no seam show through. 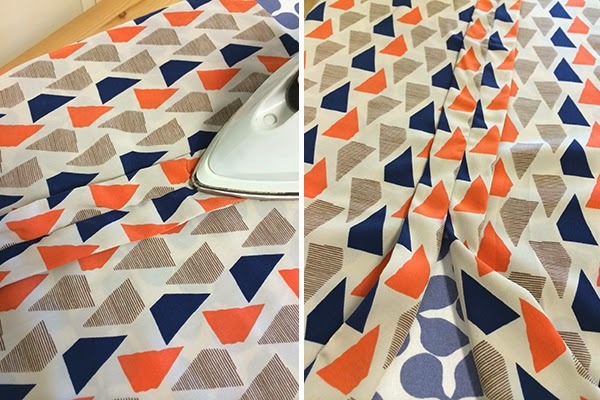 Honestly I skipped this step as I did not see any need with the fabric I was using and just flipped it, pressed it, and moved onto step 5 to assemble the front. Stitch two front pieces together and PRESS, PRESS, PRESS! I truly have forgotten, in sewing with knits so much, just how important pressing is when sewing. This next step of assembling the front and back did take me a few minutes to figure out. Laying out the pieces on a table, like diagram 1 shows, really helped translate the images for me. 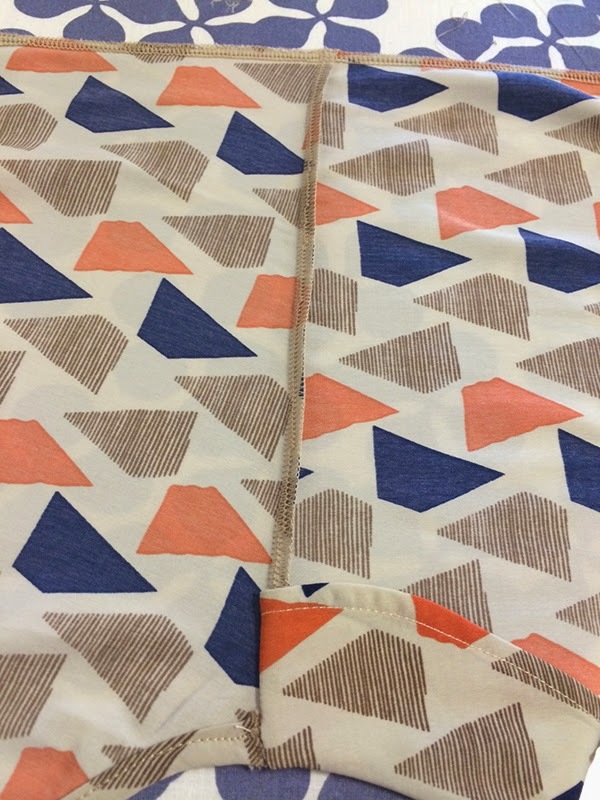 I ended up following steps 1-3 (page 8) by pinning first to make sure I got it correct and then went back and sewed with my serger instead of with my regular sewing machine so the seams were nice and strong. Here is where the pattern instructions and I diverged. I went ahead and finished the side seams also with my serger as well as the arm holes. Once I get my serger going there is just no stopping! I skipped the cuff option on the sleeve and just went with a simple turned under finished hem, the same with the bottom at about 1". Overall I am very, very happy with results and the quick changes I made did not take away from the look at all!